Sauger (Sander canadensis) are members of the Perciformes, the largest order of vertebrates. Characteristics that sauger share with most of the 9,200 other described species of fish in this order include the presence of two dorsal fins with the first being spiny, no adipose fin, thoracic pelvic fins, ctenoid scales, adaptation for life as a predator, and small, free eggs and potentially widely dispersing larvae (Moyle and Cech 2000). Sauger are part of the family Percidae, which includes darters (Etheostoma, Percina, Ammocrypta), perches (Perca), and pike-perches (Sander) (Moyle and Cech 2000). Sauger and walleye are the only extant contemporary North American pike-perches (Billington et al. 1990). Sauger can be differentiated from walleye by the presence of round dusky spots in oblique rows between the rays of the spiny dorsal, the presence of scales on the cheeks, and the absence of a pale lower caudal lobe (Brown 1971). Sauger are one of the most widely distributed North American fishes with a historical range extending across most of central and eastern North America from the St. Lawrence-Champlain system south, west of the Appalachian Mountains, to the Tennessee River in Alabama, and northwestward to central Montana and Alberta (Scott and Crossman 1973). In Montana, historical distribution included the Missouri River and its major tributaries downstream of Great Falls and the Yellowstone River and its major tributaries downstream of the Clark Fork (McMahon and Gardner 2001). Current distribution in Montana has declined by 53% from historical levels with the largest losses occurring in tributaries (McMahon and Gardner 2001). Current distribution in the Missouri River drainage is confined to the mainstem Missouri and small parts of the previously widely occupied Marias, Musselshell, and Milk rivers (McMahon and Gardner 2001). Sauger are considered rare or absent in other major tributaries such as the Teton, Judith, and Poplar rivers (McMahon and Gardner 2001). In the mainstem Yellowstone River, distribution is now considered limited to downstream of Rosebud Creek; sauger are considered rare or absent in major tributaries such as the Big Horn and Tongue Rivers although a small, partially isolated population may persist in the upper Powder River (McMahon and Gardner 2001; B. Stewart, Wyoming Department of Game and Fish, Sheridan, WY, personal communication). Sauger typically occur in large turbid rivers and shallow turbid lakes (Becker 1983). Turbidity is an important delineator of suitable habitat for sauger. Physiological adaptations, such as a highly advanced light-gathering retina, allow sauger to thrive in low-light environments (Ali and Anctil 1977; Crance 1987). As cool water mesotherms, sauger have a fairly wide range of thermal tolerance with occupied temperatures ranging from 1 to 30 C and a physiological optimum of 18 to 24 C (Crance 1987; Carlander 1997). Sauger are heavily dependent throughout their life history on unimpeded access to the wide diversity of physical habitats that are present in large river systems. They are considered to be the most migratory percid (Collette 1977). Their migratory behavior, which is primarily related to spawning, is well documented throughout their range with annual movements of up to 600 km between spawning and rearing habitats (Nelson 1968; Collette et al. 1977; Penkal 1992; Pegg et al. 1997; M. E. Jaeger, Montana State University, unpublished data). Sauger are highly selective for spawning sites and commonly travel long distances to aggregate in a relatively few discrete areas to spawn (Nelson 1968; Nelson 1969; Gardner and Stewart 1987; Penkal 1992). Although mainstem spawning does occur, it has been suggested that sauger populations are strongly reliant on access to large tributaries for spawning (Nelson 1968; Gardner and Stewart 1987; Penkal 1992; Hesse 1994; McMahon 1999). Spawning locations are associated with unique geomorphic features, such as bluff pools and bedrock reefs, and rocky substrates over which sauger broadcast their eggs (Nelson 1968; Gardner and Stewart 1987; Hesse 1994). During a 10-12 day period following emergence, its thought that larval sauger drift long distances downstream–up to 300 kilometers–prior to gaining the ability to maneuver horizontally and begin feeding (Nelson 1968; Penkal 1992; McMahon 1999). Juveniles rear in side channels, backwaters, oxbows, and other off-channel habitats during spring and summer before shifting to main channel habitats in autumn (Gardner and Berg 1980; Gardner and Stewart 1987; Hesse 1994). Adult sauger also use off-channel and channel-margin habitats during the spring and early summer periods of high flow and turbidity, and then move to deeper main channel habitats in late summer and autumn as decreasing flows and turbidities cause suitable off-channel habitats to become unavailable (Hesse 1994; M. E. Jaeger, Montana State University, unpublished data). Sauger are piscivorous top predators for most of their lives (Collette 1977; Nelson and Walburg 1977). During larval and early juvenile stages, sauger feed on zooplankton and benthic invertebrates before shifting to a diet of primarily fish by autumn of their first year (Nelson 1968; Swenson and Smith 1977; Gardner and Stewart 1987). However, during times of low abundances of suitable prey fish, benthic invertebrates make up part of the diet of juvenile and adult sauger (Preigel 1963; Swenson and Smith 1977). Sauger are not highly selective piscivores and generally feed on a wide variety of benthically oriented fish, including juvenile sauger, in proportion to their relative abundance (Elser et al. 1977; Swenson 1977; Swenson and Smith 1977; Preigel 1983). Much of their feeding activity occurs crepuscularly (Carlander and Cleary 1949; Swenson 1977). Sauger mature sexually at 2 to 5 years of age (Carlander 1997). The maximum life span in Montana is about 8 years (Gardner and Stewart 1987; Penkal 1992; Carlander 1997). Sauger year class strength is set by autumn of their first year and is thought to be influenced most strongly by temperature and volume and fluctuation of streamflow (Nelson 1968; Walburg 1972; Koonce et al. 1977; Carlander 1997; McMahon and Gardner 2001). Sauger have declined in abundance and distribution across their range (Rawson and Scholl 1978; Hesse 1994; Pegg et al. 1997). They are globally currently ranked by NatureServe based on inventories provided by state and provincial natural heritage programs as a “G5” species of concern denoting that they are “demonstrably secure, though they may be quite rare in parts of their range, especially at the periphery.” However, independent reports of sauger status throughout their range suggest marked rangewide declines in distribution and abundance (Rawson and Scholl 1978, Hesse 1994, Pegg et al. 1997, McMahon and Gardner 2001). Additionally, no information is currently available regarding sauger status in many parts of their range. The contradictory or absent information currently available lends a great deal of uncertainty to the true range-wide status of sauger. Sauger are listed in Montana as a “S2” species of special concern by the Montana Natural Heritage Program, Montana Department of Fish, Wildlife & Parks, and the Montana Chapter of the American Fisheries Society (Carlson 2003). This designation indicates that sauger are “imperiled because of rarity or because of other factors demonstrably making it very vulnerable to extinction throughout its range” in Montana (Carlson 2003). The listing was prompted by statewide declines in distribution as well as dramatic declines in abundances in all extant sauger populations in the late 1980s with only limited recovery observed subsequently (McMahon 1999; McMahon and Gardner 2001). Angler harvest, channelization, water flow fluctuations, migration barriers, loss of spawning and rearing habitat, and environmental degradation have resulted in declines in distribution and abundance of sauger populations rangewide (Rawson and Scholl 1978, Hesse 1994, Pegg et al. 1997). Similar factors have been implicated in the declines observed in Montana. Habitat loss and the presence of migratory barriers are the primary causes of the reduced distribution of sauger in Montana (McMahon and Gardner 2001). Their highly migratory nature, propensity to spawn in only a few areas, and reliance on a wide variety of habitats throughout their life history combine to make sauger one of the most sensitive percids to habitat alteration (Leach 1977; Hesse 1994; McMahon 1999). Impoundment of mainstem rivers and tributaries physically isolates sauger from important spawning and rearing habitats as well as reduces turbidities and alters the timing and magnitude of the hydrograph from the natural discharge regime that sauger evolved in (Hesse 1994; McMahon 1999; McMahon and Gardner 2001). Mainstem and tributary low-head irrigation diversion dams similarly fragment and degrade habitat and cause additional mortality by entraining juvenile and adult sauger into irrigation canals (Hiebert 2000; McMahon and Gardner 2001). Stream-bank stabilization and chronic or intermittent dewatering for irrigation and power production have resulted in the loss of critical off-channel habitats (Garner and Berg 1980; Hesse 1994). Loss of major spawning tributaries has also occurred as a result of chronic dewatering for irrigation (McMahon and Gardner 2001). Low streamflow is believed to be the primary cause for the declines in sauger abundances observed in the late 1980s throughout Montana (McMahon and Gardner 2001). Whether natural or anthropogenic in origin, low streamflow can detrimentally affect sauger populations by stranding eggs (Nelson 1968), limiting downstream transport of larval sauger (Nelson 1968; Gardner and Berg 1980; Penkal 1992), dewatering off-channel habitats (Gardner and Berg 1980; Hesse 1994), and causing poor prey recruitment (Nelson and Walburg 1977). However, other factors such as overharvest, competition and hybridization with walleye, and competition with other introduced piscivores have also been suggested to explain the region-wide declines in sauger abundance and subsequent poor recovery despite improved flows (McMahon and Gardner 2001). Of these non-flow related threats, expansion of and increased management emphasis on walleye populations might be the most detrimental to sauger in the long-term. Impoundment of mainstem and tributary rivers create conditions more favorable to walleye populations that, during times of low sauger abundance, can completely envelop sauger populations into their gene pool (Rawson and Scholl 1978). Sauger are especially sensitive to these threats, and therefore susceptible to resulting declines in abundances, because of the aforementioned habitat loss, degradation, and fragmentation that has occurred in Montana. Mitigation of habitat loss and fragmentation holds the most potential for recovery of this species. Removal of mainstem and tributary impoundments, which would restore natural flow and sediment regimes, natural channel and habitat formation processes, and population and habitat connectivity, would be the single most effective restorative action that could be taken and holds far and away the greatest potential for recovery of sauger and other imperiled large river fishes in Montana. Although such restorative measures are unlikely at this time, other restoration potential does exist and is being pursued. Improved passage at several irrigation-related migratory barriers is being planned and implemented. Similarly, fish screens and return structures have been installed and more are planned to minimize entrainment of fish in irrigation canals. Negotiations to restore instream flows in some tributaries, especially during critical spring spawning times, are ongoing. Flow releases from mainstem dams can also be regulated throughout the year to maximize spawning success and year-class strength of sauger (Nelson 1968; Walburg 1972). Angler harvest has been restricted to reduce fishing mortality in areas where declines in sauger abundances are most marked. Supplementation of sauger populations by artificial propagation is being attempted to bolster abundances and restore sauger to areas where they have been extirpated. Levels of introgression with walleye are being investigated to determine the threat to sauger as walleye populations expand. Additionally, extant sauger populations are being closely monitored and research is being conducted to fill information gaps to allow managers to determine how and where restoration and conservation efforts can be most effectively directed. Conservation of what habitat remains should also be recognized as essential to the recovery and restoration of sauger in Montana. Montana boasts some of the most pristine large-river habitat in the United States. Preservation of natural hydrographs, natural processes of channel formation, and high degrees of connectivity where they currently exist should be considered among the highest priorities for sauger conservation and recovery. Preservation of existing habitat can best occur by minimizing the diversion of water from river channels and limiting processes such as channelization and stream-bank armoring that result in loss of important off-channel habitats. Additionally, it is important that further disruptions to the connectivity of tributary and mainstem habitats be prevented to avoid further declines in abundance and distribution of sauger in Montana. Whereas current research focusing on genetics, hybridization, interaction with walleye, movement, exploitation, and habitat use of adult sauger will provide a wealth of new information, several information gaps still limit the effectiveness of sauger management in Montana. The largest information gap that currently exists is related to early life history. Very little is currently known about which factors most strongly influence spawning success, larval and juvenile survival, and, ultimately, year class strength. Similarly there is little knowledge of the specific habitat requirements and movements of juvenile sauger. The effect of downstream reservoirs and their water levels on sauger recruitment is also unknown. Whereas adult spawning locations, movements, and habitat use have been determined for some Montana sauger populations, there is evidence that other populations, specifically those using tributaries for spawning and rearing and those residing in reservoirs, exhibit alternative life history patterns that warrant further investigation. Addressing these issues will provide managers with information necessary to more effectively manage and enhance sauger populations. Ali, M. A., and M. Anctil. 1977. Retinal structure and function in the walleye (Stizostedion vitreum vitreum) and sauger (S. canadense). Journal of the Fisheries Research Board of Canada 34:1467-1474. Ali, M. A., R. A. Ryder, M. Anctil. 1977. Photoreceptors and visual pigments as related to behavioral responses and preferred habitats of perches (Perca spp.) and Pikeperches (Stizostedion spp.). Journal of the Fisheries Research Board of Canada 34:1475-1480. Becker, G. C. 1983. Fishes of Wisconsin. The University of Wisconsin Press, Madison, WI. Billington, N., P. D. N. Hebert, and R. D. Ward. 1990. Allozyme and Mitochondrial DNA variation among three species of Stizostedion (Percidae): phylogenic and zoogeographical implications. Canadian Journal of Fisheries and Aquatic Sciences 47:1093-1102. Brown, C. J. D. 1971. Fishes of Montana. Big Sky Books, Bozeman, MT. Carlander, K. D., and R. E. Cleary. 1949. The daily activity patterns of some freshwater fishes. American Midland Naturalist 41:447-452. Carlander, K. D. 1997. Handbook of freshwater fishery biology, volume three: life history data on ichthyopercid and percid fishes of the United States and Canada. Iowa State University Press, Ames, IA. Collette, B. B. and 7 co-authors. 1977. Biology of the percids. Journal of the Fisheries Research Board of Canada 34:1890-1899. Crance, J. H. 1987. Preliminary habitat suitability curves for sauger. Proceedings of the Annual Conference of Southeast Association Fish and Wildlife Agencies 41:159-167. Elser, A. A., R. C. MacFarland, and D. Schwehr. 1977. The effects of altered streamflows on the fish of the Yellowstone and Tongue Rivers, Montana. Technical Report No. 8. Yellowstone Impact Study. Montana Department of Natural Resources and Conservation, Helena, Montana. Gardner, W. M., and R. K. Berg. 1980. An analysis of the instream flow requirements for selected fishes in the Wild and Scenic portion of the Missouri River. Montana Fish, Wildlife and Parks report, Great Falls, MT. Gardner, W. M., and P. A. Stewart. 1997. The fishery of the lower Missouri River, Montana. Montana Department of Fish, Wildlife and Parks report, FW-2-R.
Hiebert, S., R. Wydoski, and T. Parks. 2000. Fish entrainment at the Lower Yellowstone Diversion Dam, Intake Canal, Montana 1996-1998. Bureau of Reclamation report, Denver, CO.
Hesse, L. W. 1994. The status of Nebraska fishes in the Missouri River. 6. Sauger (Percidae: Stizostedion canadense). Trasactions of the Nebraska Academy Sciences 21:109-121. Koonce J. F., T. B. Bagenal, R. F. Carline, K. E. F. Hokanson, and M. Nagiec. 1977. Factors influencing year-class strength of percids: a summary and model of temperature effects. Journal of the Fisheries Research Board of Canada 34:1900-1909. Leach, J. H., and 5 co-authors. 1977. Responses of percids and their habitats to eutophication. Journal of the Fisheries Research Board of Canada 34:1964-1971. McMahon, T. E. 1999. 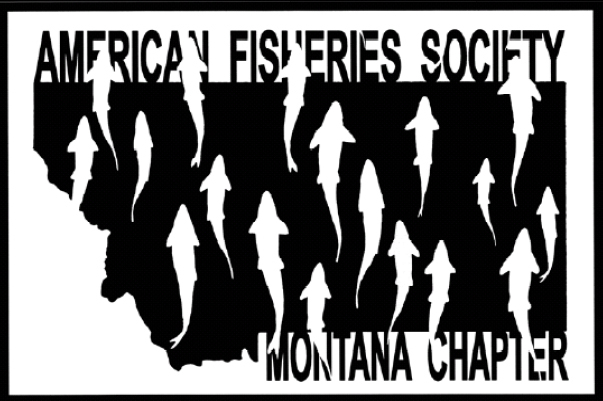 Status of sauger in Montana. Montana Fish, Wildlife and Parks report, Helena, MT. Moyle, P. B., and Cech J. J. 2000. Fishes an Introduction to Ichthyology. Prentice Hall, Upper Saddle River, NJ. Nelson, W. R. 1968. Reproduction and early life history of sauger, Stizostedion canadense, in Lewis and Clark Lake. Transactions of the American Fisheries Society 97:159-166. Nelson, W. R. 1969. Biological characteristics of the sauger population in Lewis and Clark Lake. U. S. Department of the Interior, Bureau of Sport Fisheries and Wildlife, Technical Paper 21. Nelson, W. R., and C. H. Walburg. 1977. Population dynamics of yellow perch (Perca flavescens), sauger (Stizostedion candense), and walleye (S. vitreum vitreum) in four mainstem Missouri River reservoirs. Journal of the Fisheries Research Board of Canada 34:1748-1763. Pegg, M. A., P. W. Bettoli, and J. B. Layzer. 1997. Movement of saugers in the lower Tennessee River determined by radio telemetry, and implications for management. North American Journal of Fisheries Management 17:763-768. Penkal, R. F. 1992. Assessment and requirements of sauger and walleye populations in the Lower Yellowstone River and its tributaries. Montana Department of Fish, Wildlife and Parks report, Helena, MT. Priegel, G. R. 1963. Food of walleye and sauger in Lake Winnebago, Wisconsin. Transactions of the American Fisheries Society 92:312-313. Priegel, G. R. 1983. Sauger life history, ecology, and management. Department of Natural Resources, Madison, Wisconsin. Rawson, M. R., and R. L. Scholl. 1978. Reestablishment of sauger in western Lake Erie. Pages 261-265 in R. L. Kendall, editor, Selected coolwater fishes of North America. American Fisheries Society Special Publication 11. Bethesda, Maryland. Scott W. B., and E. J. Crossman. 1973. Freshwater Fishes of Canada. Fisheries Research Board of Canada Bulletin 184. Swenson, W. A. 1977. Food consumption of walleye (Stizostedion vitreum vitreum) and sauger (S. candense) in relation to food availability and physical conditions in Lake of the Woods, Minnesota, Shagwa lake, and western Lake Superior. Journal of the Fisheries Research Board of Canada 34:1643-1654. Swenson, W. A., and Smith L. L. 1977. Influence of food competition, predation, and cannibalism on walleye (Stizostedion vitreum vitreum) and sauger (S. canadense) populations in Lake of the Woods, Minnesota. Journal of the Fisheries Research Board of Canada 34:1946-1954. Walburg C. H. 1972. Some factors associated with fluctuation in year-class strength of sauger, Lewis and Clark Lake, South Dakota. Transactions of the American Fisheries Society 101:311-316.